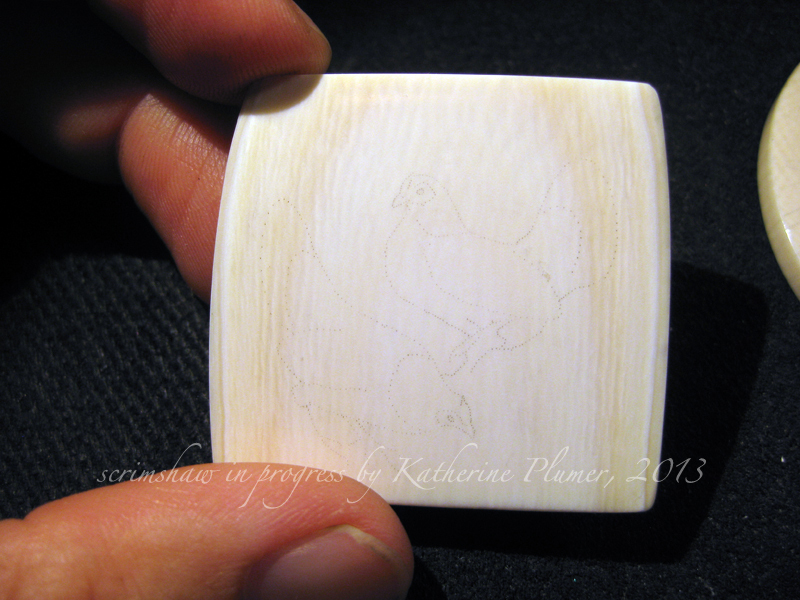 I transferred two images to two pieces of ivory today. They are both projects I "should have finished yesterday" if you know what I mean... clock's a-tickin'. The other, which I will show you later, is larger and EXTREMELY complicated and detailed, so I'm going to try to bust this one out pretty quickly (ha ha, "quickly" being a very relative term when it comes to working on a microscopic level). Your blog rouses me each time when I read it and thank you such an incredible sum for sharing here. I worship examining web diaries. I don't invigorate constantly by examining blog passages. Regardless, in your blog I find something that recommends in blogging. Anyway, you're positively a staggering blogger and you have a capacity to make your peruser to keep examining your blog again and again. Keep up the magnificent work. Continue moving the overall public!